When my first novel came out, I would invariably be asked about the subplot of teen lesbianism I chose to include. This would be followed by a brief, awkward silence. But I was always happy to set minds at ease, to ensure the questioner and the audience that the question was welcomed. I wrote then in my novel about Carly, a popular, talented high school senior who was coming to terms with a romantic attachment she had recently developed toward a childhood friend. In my most recent novel, I have included a fourteen-year-old girl who is questioning her gender. When it comes to the acronym LGBTQ, I lean heavily toward the Q (meaning either “queer,” or non conforming, and “questioning,” meaning not sure yet) with my young characters. I do this for good reasons, I think. One reason is personal, the other much broader. First, let me introduce Catherine, a real person, who began life with a name she no longer recognizes. Catherine has overcome many obstacles to be who she is today—accepted as a woman, working toward her goal of becoming an attorney. She is on the other side now of all it took for her to transition successfully. She began her quest while still in her teens, going through each required step along the way: counseling, early changes in clothing and hairstyle; then on to hormone therapy, and finally genital surgery in Canada several years ago. Not every trans person undergoes surgery, but for Catherine, it was the right decision. No one goes through gender-confirming surgery frivolously. I’ve watched Catherine over the years; I know what she has endured to claim her true identity. Her mother is a good friend. I was her birth partner during her pregnancy, so I was certain to be there for Catherine’s surgery: her second birth, which was successful but not without complications once she returned home. When Catherine began to have post-operative problems, she had a harrowing time finding a gynecologist who knew what she needed and was willing to provide it. “I was blatantly told by one doctor that he was perfectly capable of treating me but would not because I was trans,” she told me. Catherine and her mother traveled the country before finding proper care. Today Catherine’s medical issues are behind her, and she has found a new, competent, and caring gynecologist in her hometown. And yet, she can still cite examples of “transphobia” (intense dislike or fear of or prejudice against transgender men and women), which are borne out by recent studies. And that brings me to the broader issues. Looking into the damage resulting from transphobia, I began to feel an affinity going beyond my love for Catherine and my respect for what she endured as a transgender youth. In her teens, while her parents were always supportive, she was among a population often disowned, sometimes forced to leave home. She was among a group who would be ostracized by peers and teachers at school if they “came out,” who would be discriminated against, often teased or bullied, or who became victims of violence. None of this describes the day-to-day anxiety of the simplest of things, like asking for a bathroom pass. Some transgender children will not go to the bathroom all day, resulting in kidney or urinary-tract infections. And the problems and issues they face can become life-threatening. 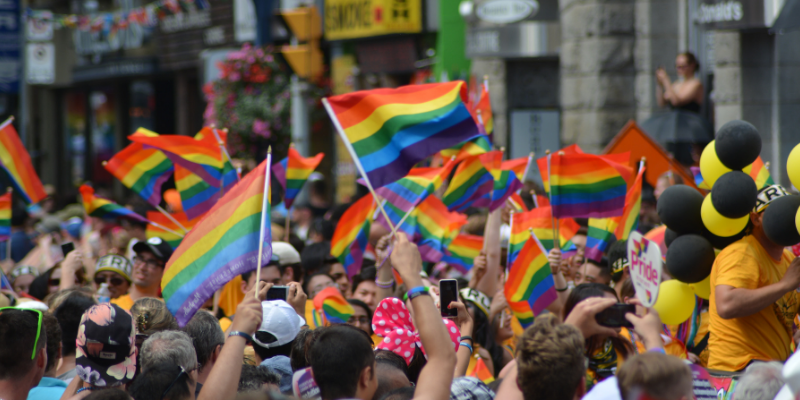 Tracy A. Becerra-Culqui, co-author of the study, when asked in Medical News Today (April, 2018) about the results, said she hoped the research would create “awareness about the pressure young people questioning their gender identity may feel, and how this may affect their mental well-being.” She went on to note how crucial it is for young people who are questioning their gender identity to get the necessary social and educational support they may need. It seems to me adults have a responsibility to shepherd these kids through such difficult times in their lives. I can do my part by writing about their issues with care. And I have Catherine to thank for increasing my knowledge and awareness. When I think about the future, with young people like Catherine about to enter professions like the law, I have hope that mitigates some of my own concerns, and I am looking forward to the day when Catherine gets her degree. I’ve been there for other milestones in her life, and I don’t intend to miss that one. Jean P. Moore was born in Brooklyn, New York, and grew up in Miami, Florida. 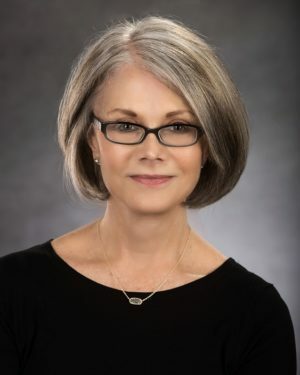 She began her professional career as a high school English teacher and worked for a number of years as executive director of workforce development, a position she held for a number of years. Jean has since returned to her first loves: the study of literature and writing. Her novel Water on the Moon was published in June 2014 and is the winner of the 2015 Independent Publisher Book Award for contemporary fiction. Her work has appeared in newspapers, magazines, and literary journals such as SN Review Distillery, Skirt, Slow Trains, The Hartford Courant, Greenwich Times, and the Philadelphia Inquirer. Additionally, a memoir piece, “Finding Charles,” appears in Persimmon Tree. Several of her anthologized poems can be read in Women’s Voices of the 21st Century (2014). Her poetry chapbook, Time’s Tyranny, was published in the fall of 2017 by Finishing Line Press. 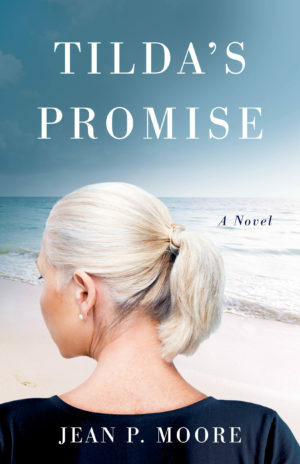 Her latest novel, Tilda’s Promise, is set to debut on Sept. 25, 2018. You can find her on Facebook at JeanPMooreAuthor, on Twitter @jean_pmoore, and at http://www.jeanpmoore.com.